22–24 August 2018, Faculty of Theology and Religious Studies, University of Groningen. 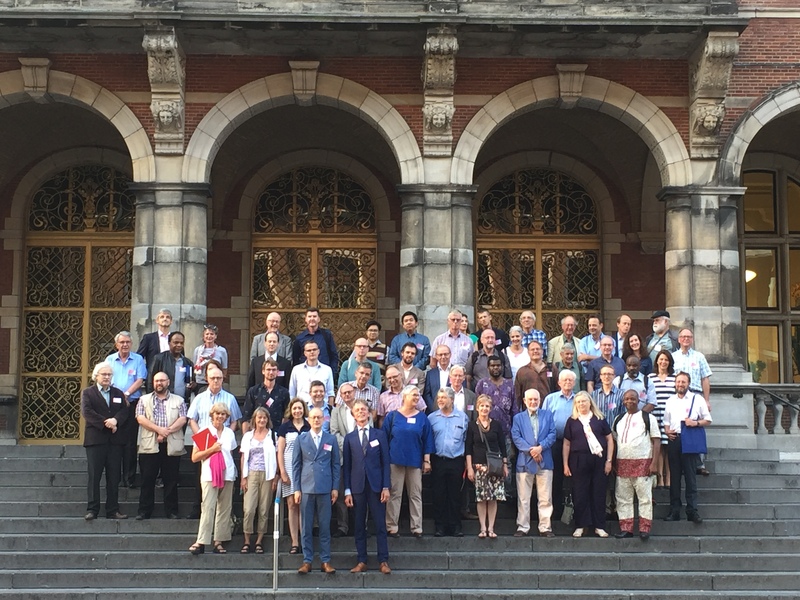 The Joint Meeting 2018 of the Oudtestamentisch Werkgezelschap (OTW), the Society for Old Testament Study (SOTS), and the Old Testament Society of South Africa (OTWSA/OTSSA) focused on texts of violence in the Hebrew Bible, as well as their often problematic reception history. Point of departure was the observation that authoritative texts and traditions can be rewritten and adapted to new circumstances and insights. Texts are subject to a process of change. The study of the way in which these (authoritative) Biblical texts are produced and/or received in varying socio-historical circumstances discloses a range of theological and ideological perspectives. In reflecting on these issues, the central question was how to allow for the plurality of possible and realized meanings of a given text, while retaining the ability to form critical judgments regarding Biblical exegesis. The Joint Meeting 2018 was the 230th meeting of the OTW, the 17th Joint Meeting of OTW and SOTS, the 3rd Joint Meeting of OTW and OTWSA/OTSSA, and the 1st of OTW, SOTS, and OTWSA/OTSSA. Because the Joint Meeting 2018 was a great success, the president of the OTW proposed to explore the possibility to integrate the OTSSA within the system of Joint Meetings between the OTW and OTSSA. Both the president of the OTSSA and the secretary of the SOTS were in principle positive with regard to this suggestion. As a first step, both the board of OTW and of the OTSSA will submit a proposal to their members. If they agree, a formal request will be sent to the board of the SOTS. 58 scholars from 3 continents and 12 countries participated in the Joint Meeting 2018: 27 OTW-members, 12 SOTS-members, 15 OTWSA/OTSSA-members, and 4 junior researchers. Heather A. McKay (Edge Hill University), Violence with Humour: Is this Possible in the Hebrew Bible? The papers of the Joint Meeting 2018 will be submitted for publication in a volume of the series Oudtestamentische Studiën (Brill), which will be peer-reviewed. OTW-Board: Jacques van Ruiten (University of Groningen) and Koert van Bekkum (Evangelical Faculty Leuven / Theological University Kampen), with the support of the staff of the Faculty of Theology and Religious Studies at the University of Groningen. the Theological University of Kampen.